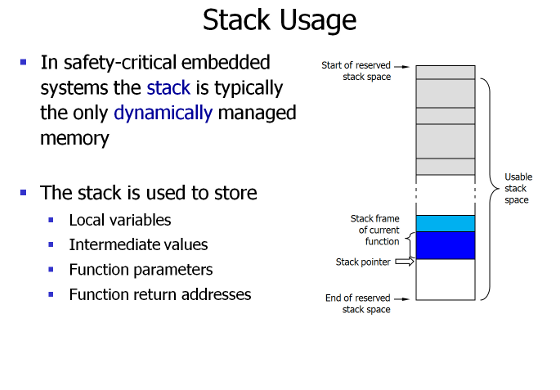 Stack memory has to be allocated statically by the programmer. Underestimating stack usage can lead to serious runtime errors which can be difficult to find. 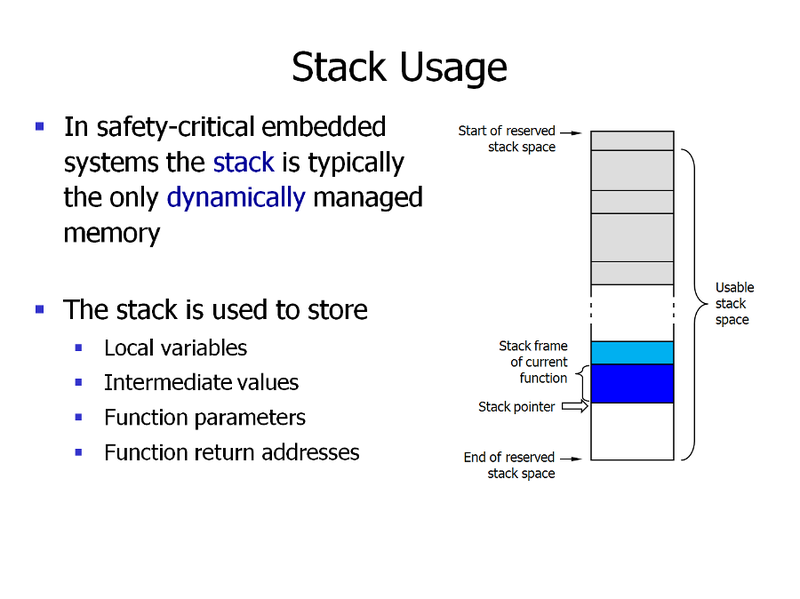 Overestimating stack usage means a waste of memory resources.